On sale on eBay is a pair of Makita 4.0Ah Lithium-ion 18V batteries for only $110. The BL1840B battery comes with a built-in battery gauge to track power. This same set of batteries sells on Amazon for anywhere between $190 and $200. 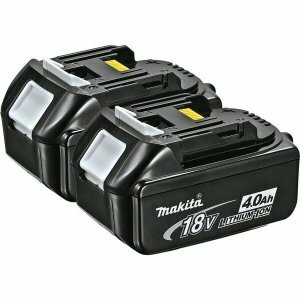 According to the seller, these are genuine Makita batteries. Free Shipping is also included.